Learn about the B&F Compendium of Jewish Genealogy with over 25,000 resources for Jewish genealogy. Philip Trauring will show how the site works, what's available on it, and answer questions live. Let me know what you think of the video. If you’re interested in me doing other videos, let me know in the comments. This is a short update to describe some recent additions to the B&F Compendium of Jewish Genealogy. First, following up my earlier addition of hundreds of newspaper archives, I’ve started to add more newspapers from other sites. 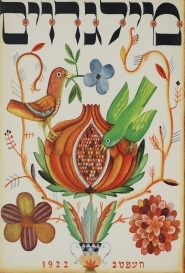 Dan Oren, as promised, the Lubliner Togblat has been added, so brush up on your Yiddish. Second, I’ve added links from the Cemetery Project of the Museum of Family History. The Musuem is a web site put together by Steven Lasky that has lots of great information. The Cemetery Project includes lists of surnames from different Landsmanshaft cemetery sections from the NY/NJ area, including information on the entrance gates to sections that have them (that usually have information on the people who ran the Landsmanshaft), as well as many Holocaust memorials put up by those societies. You can see the links for all three pages for the town. I’ve written about Landsmanshaftn cemetery sections before, such as in Learning about Landsmanshaftn and More on Landsmanshaftn, and for those who are not sure where their family came from before the US, figuring out if they were buried in a Landsmanshaft cemetery section can be an important clue. Keep in mind they may have ended up in a section because their spouse was from that town, or because an ancestor further back was from that town, but in any case, it’s still very useful and the surname lists and lists of sections associated with each town on this site are very useful. Lastly, you may have noticed the ‘New’ icons in the above screenshots. This is a new feature of the site that will show you if a link was added or updated in the last three months. I actually added this awhile back but there was a bug that didn’t always display it. It is now working, however, so if you go to any page on the site and see that icon, you know the resource was added to this site recently. This is convenient if you want to revisit the town page every few months, and see quickly if something new has been added. I get asked by a lot of people how to get started in researching their family. 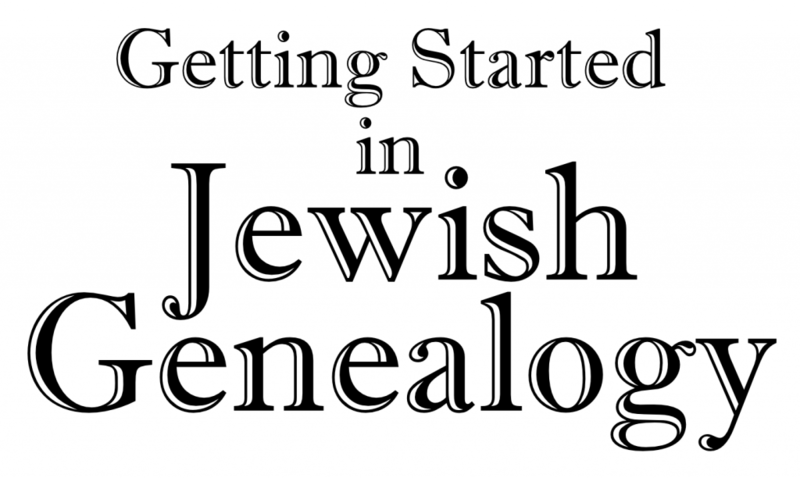 This entire site is dedicated to helping people do just that, but after eight years of writing articles and creating resources like my forms, and the B&F Compendium of Jewish Genealogy, it’s still hard for someone completely new to genealogy to know what to do first. My goal here is to guide someone completely new on what to do first, what is useful on my site, as well as what other sites are useful. So if you’re new to genealogy, this will help you get started. It seems obvious, but the first thing you need to do is figure out what you know, which will help you figure out what you don’t know. You start this process by asking whoever in your family may know information. Depending on your age, this might be your parents, or grandparents, or whoever are the oldest relatives in the line you are researching. When reaching out to these relatives, you want to not only ask for information, but if they or another relative might have documents that show this information. Always ask if they know of a relative that has already researched the family history. Many families have a cousin that has already done research, and already collected documents and photographs. They may remember a cousin or an uncle that has collected information on the family, and even if that person is not alive now, you may still be able to find information from that relatives’ descendants. When getting started I always suggest starting with paper forms. 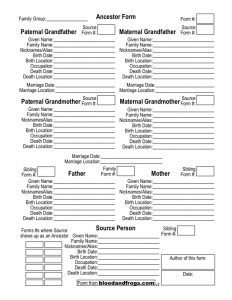 There are many great computer programs and web sites for organizing your genealogy, and I do recommend using them but especially when meeting with older relatives, working with a piece of paper is usually easier, and it has the advantage of making it very clear which fields in the form you have not filled in yet (and thus need to ask about/research). 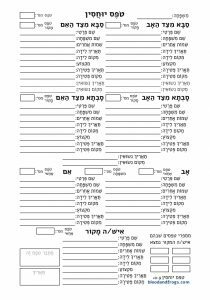 On my site you can download several different forms, in English and in Hebrew. I suggest starting with the Ancestor Form with yourself as the source person at the bottom, and adding in the details on your parents and grandparents. Are you able to fill in all the fields on the form? Do you know where all of your grandparents were born? What their exact birth dates were? Do you have documentation for any of the information, such as birth certificates, marriage licenses, ketubahs, passports, etc.? 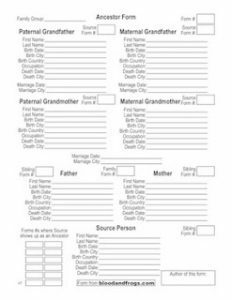 Once you’ve filled out the form, add Sibling Forms for each of your parents and grandparents, or Family Forms for their parents (which will provide similar information but include the parents, and will show their siblings as children of the parents). As you work your way out further, you’ll see that you probably know less information. That’s okay – this is just the first step in building out your family tree. I’ve had a lot to write since visiting the Okopowa St. Jewish Cemetery a few weeks ago, but have too busy to put it all together. After my first visit hours after arriving in Poland that Sunday, I wrote my initial thoughts in Practical suggestions when photographing cemeteries. I visited a second time a few days later on Wednesday and I wanted to share my thoughts on that visit, and what I’ve had time to think about since returning from Poland. 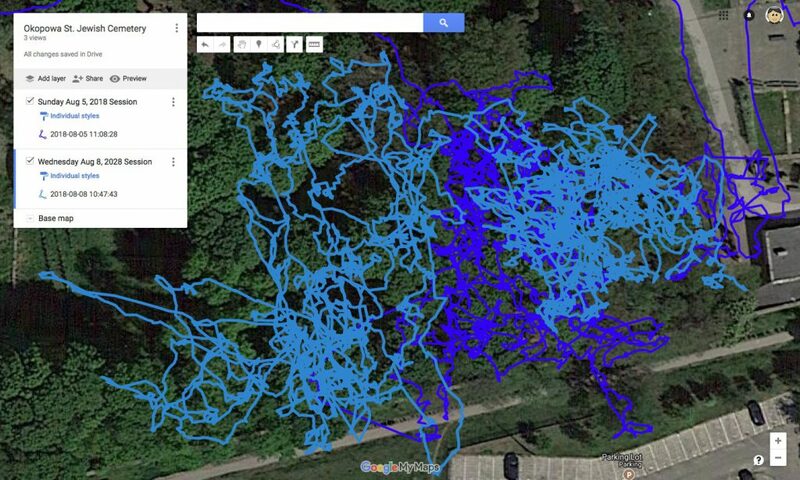 The first thing I wanted to discuss is the idea of using GPS to help map the sections of a cemetery. While the Okopowa St. Cemetery has several maps, once you’re on site, they’re only useful in a general sense. It would be amazing if there could be an app that would show you which section you were in on a moving map. In my earlier post I showed an overlap on a satellite image of where I walked on the first day, which was densely packed in Section 1, and then a walkabout around the cemetery. I’ve long been an advocate of using newspapers in genealogy research. I’ve had particular success using newspapers in my research, and advocate for others to use them as well, as far back as my Genealogy Basics: Historical Newspapers article in 2011 (not long after starting this blog). Other bloggers such as Kenneth Marks at The Ancestor Hunt have done excellent jobs of collecting some links to Jewish newspaper archives (see his article Historical Jewish American Newspapers Online which is obviously focused on US newspapers). The whole idea of the Compendium, however, is to present users with resources when looking at the page representing the locality they are researching. 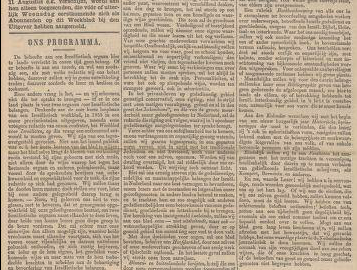 If you’re researching Międzyrzec Podlaski, you may not know that there is an online digitized newspaper from that town, or if you’re researching family from Morocco, you might not know there are at least five online digitized newspapers available from that country. To that end, I’ve now added a new category of resources to the B&F Compendium of Jewish Genealogy – Newspapers. This is a work in progress, but to start out I have added links to searchable archives of over 200 newspapers. I have added these to the place of publication of these newspapers, although their reach is sometimes much wider. Links are only to archives of newspapers, not to current newspapers (unless they have an archive of older papers, in which case I point directly to that archive). In the the case of newspapers published in what is now Poland, I have placed them in the town pages for the town in which they were published. For Warsaw, this is a considerable number, but what I found interesting were the other smaller towns for which there are archives of papers that as a researcher you may not have been aware of, and thus never checked. In Poland this includes newspapers in Białystok, Bielsko Biała, Chełm, Ełk, Kalisz, Kielce, Kraków, Łódź, Międzyrzec Podlaski, Piotrków Trybunalski, Tomaszów Mazowiecki, and Wrocław. 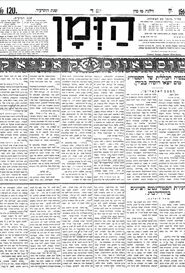 Most of these newspaper archives currently come from the Historical Jewish Press project, which is an amazing effort to digitize and make publicly available historical Jewish newspapers from around the world. One small problem with the site is that it tends to list newspapers by the country they were in when published, and not by their current country. That means many people don’t realize when looking for newspapers from the countries their ancestors lived in, that they’re not listed under Ukraine, but under Austria or Russia, or they’re not listed under Lithuania, but rather under Poland. I have tried my best to link to these newspapers to the countries their place of publication currently resides. This includes newspapers in Austria, Belarus, China, Egypt, France, Germany, Hungary, Israel, Lithuania, Morocco, Romania, Russia, Tunisia, Turkey, and Ukraine. For the United States, I’ve placed the newspaper links on the pages for the state where the newspaper was published, including California, Colorado, Florida, Illinois, Maryland, Massachusetts, Michigan, Missouri, Nebraska, New Jersey, New York, North Carolina, Pennsylvania, Ohio, Texas, and Virginia. These newspapers are not exlcusively from the Historical Jewish Press project, but include links to sites in many places that have digitized newspapers, including the Chronicling America project from the Library of Congress, and many other local efforts across the United States. Please note that this is a first stab at adding newspapers, and even though I’ve added over 200 newspaper archives, there are certainly more out there, and I would greatly appreciate it if people could send me information on other newspaper archives available online that can be added. The best way to do this is to go to the page you think it should be added to, and clicking on the Add a Resource link at the bottom of the page. Please be as descriptive as possible, including the years of publication, the language, the frequency of publication (monthly, weekly, daily, etc. ), and any official linkage, such as to a political party or other organization. There are plenty of other newspapers that I’m aware of, but have not yet added, primarily due to language issues. 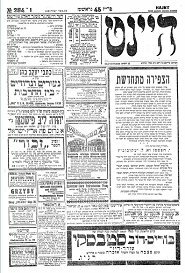 Ohio State offers two great lists of digitized historic Jewish newspapers, in English and Hebrew, that contain many newspapers I have not yet linked to here. That’s because while many newspapers are listed, there are no real descriptions like I have for other papers, and the languages are German, Yiddish and Hebrew in most cases, which means I need to spend more time going through them to collect the necessary information. 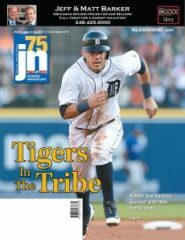 Two resources specifically in German are Compact Memory which has hundreds of German Jewish newspapers and periodicals, and Jüdische Zeitschriften in NS-Deutschland, which has Jewish newspapers from the WWII period in Germany. As the New York Public Library’s guide to microfilms of Jewish newspapers shows, however, there are even more Jewish newspaper archives out there waiting to be digitized and put online. So take a look at the countries, states, and towns your family came from, and see if there are newspapers listed. Have you looked at them in your research? 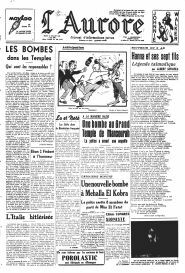 Write about your experiences using newspapers in your research in the comments below, and submit newspaper archives not in the Compendium to the site so I can add them.